Hey guys, welcome back to season 6 episode 10. On the last episode of this season, I have one of our 30-Day Home Staging Challenge students and home seller Agnes on the show. She is absolutely amazing. She has shared many amazing before and after photos, all done by her, on her own. During our show, she will tell how no one had believed her that staging would work, she already had a nice house and she shouldn’t be wasting time on staging. I cannot tell you how incredible it is for me personally to interview sellers like Agnes and Lisa from the last episode. I was blown away by both of them and how determined they were to get their homes staged and ready for sale. Both of these women had limited budget, they didn’t have immediate access to home stagers in their areas, so they did a lot of homework and research. They both did our 30-day home staging challenge, they put in a lot of effort to get their homes ready for sale. Both of their homes are just going on the market now. I’ll keep you posted on their progress in our later season. Agnes especially has a very difficult reason as to why they had decided to sell their dream home, where they put in a lot of custom upgrades. Her hard work really has paid off, as you can see from the before and after photos on the show notes. I had you had enjoyed both of these episodes and hear these sellers’ stories and experiences and advice on what to and not to do when you are getting your home ready for sale. If you are curious about the 30-day home staging challenge online course, check it out here >> www.staged4more.com/30dayhomestaging. This week’s guest, Agnes, took the 30-Day Home Staging Challenge and shares how she was able to transform her dream home into something more spectacular despite everyone telling her that she was wasting her time on staging, including the real estate pro in the family. The before and after pictures amaze even the biggest skeptic. Agnes’s home is filled with upgrades including it being fully automated. The home’s value surpasses those in the immediate area by up to three times, however, the challenge she faces is that there are no real comps to pull from that truly compare. Knowing the challenges that lie ahead, Agnes took to doing her research for planning out how she would present this home in the best possible way. In doing so, she found this podcast and tapped into her father-in-law, who is a real estate guru, as well as her husband, who has been in and around the home building industry all his life. A lot of hard work and time has been invested in this home. 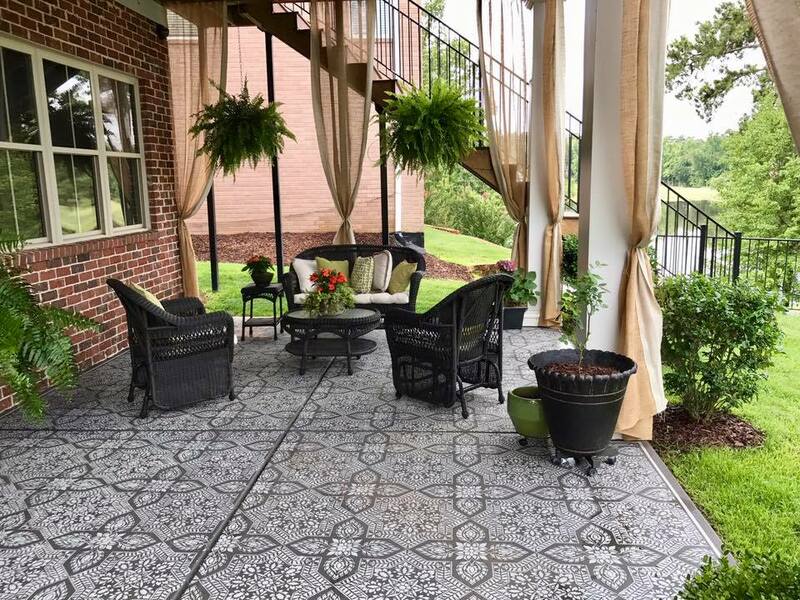 Accepting the fact that the home will not sell for what it is actually worth monetarily leaves Agnes with finding a buyer who will realize the treasure that it is and appreciate the upgrades and amenities the home has to offer to a loving family. Creating a space where every room is better than the last, leaving potential buyers amazed and walking away with a feeling that they must have this home was a top priority. The next phase of her research became how to market and sell a luxury high-end home. Photography and video were a definite requirement. This is where top notch staging makes a huge difference. Although her home was seemingly staged on a daily basis, Agnes took it a step further by clearing out drawers and storage spaces to give potential buyers a real idea of how much space they have available. Next, Agnes focused on curb appeal, spending lots of time gardening and making her home look warm and inviting to those driving by. 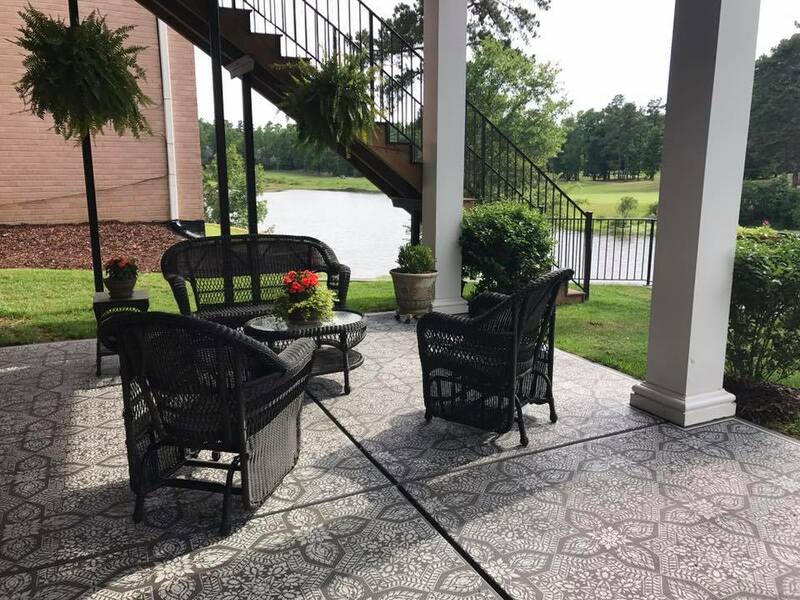 The back deck opens up to a golf course so maximizing that space and creating the feel of a retreat was essential in giving buyers that wow factor. Finding a great realtor, hiring a professional photographer, appraiser and surrounding yourself with expertise is key to building a strong team that will help sell your home. Agnes even had a professional home stager walk through her home after the project was complete. It was a great way to validate that she was on the right track and that she did an awesome job! Agnes established a relationship with an appraiser who has an outstanding reputation in the industry and was willing to go beyond the immediate area to get the comps she needed for her analysis. The extra legwork yielded an additional $100,000 to her home's appraisal. His reputation was strong enough that the bank accepted his recommendation over the one initially submitted by the first appraiser. When DIY home staging and pushing through that process yourself, it is vital to be creative and think outside of the box. Agnes is even considering hosting a private broker open house prior to listing it publically due to the technology in the home where the brokers would bring one or two clients that they know would love it. Keeping the home staged-ready at all times may be tricky to keep up with small children in the home. Limiting activity to designated parts of the home and restricting access to certain rooms cuts down on maintenance and clean up time for staging standards. Another option that realtors have recommended in areas where homes sell within 30 days is for sellers to temporarily moving into an Airbnb or timing it so that the house is shown while they are on vacation. One thing that most DIY home owners rarely consider is the safety and security of their personal photos and information. Though we all love our family photos you should remove them from the home. Potential buyers will go through your home, take and share photos of your staging that they can post online leaving you open to a safety risk. Be strategic in how you allow buyers in and out of your house. Having a few toys at the open house may be a good way to keep the children entertained and also keeping children from accidentally breaking items in the home while the parents are having important conversations with the realtor. Not to mention, parents seeing their children happy and playing in the home is a positive influence in swaying their decision to buy. There may be times that you will need to restage your home depending on activity. When doing so it is a good idea to walk through the house and take photos of each room with at least a smartphone or digital camera before you hire a professional photographer. How the room feels versus how it photographs is different. This will help you see your staging with a fresh new perspective prior to making that investment. Don't give up. Make sure that you get constructive criticism that is actually constructive. Make sure that everyone has their heart and mind into it. Get help from the right places like Facebook Groups and the 30-Day Home Staging Challenge Course. Just keep pushing forward. Do the research. Offer seller financing for the technology options in the home. There is a way! This is more "the story of my house" than a bio or one of your "success stories," as I'm not a professional in this market nor do I have anything to promote (if anyone should be promoted, it's you 😉). As a side note, we haven't listed our home as of this moment & may want to consider using this story or interview after we see how it ends up selling. My husband and I built our home ourselves from the ground up in 2012 in Augusta Georgia. He is the premier Crestron integrator in the greater Augusta area (and beyond) and has been entrenched in the technology, home building, and real estate world his entire life and career. Our home was my first experience in the industry but I learned a lot & continued to learn quite a bit about this field. We chose to build our home on a beautiful lot overlooking the lake and golf course. This was meant to be our forever home as well as an investment for my husbands business (as he uses our home to showcase his home automation systems to his clients), so we did not mind that we were technically overbuilding for our neighborhood. Most homes in our immediate neighborhood are valued about 1/3 of our homes worth, while the homes with the lake and golf course view have higher values but still almost half our value. The homes with the view are on sloping lots which allows for a walk out basement. We chose to take full advantage of our basement and suspended a slab under the garage and front of the house which gave us an additional 2000sqft to our home (total sqft 5,300). With the additional sqft as well as the cinematic Crestron home theater strategically located below the suspended slab under the garage (all surrounding walls being made of concrete provide the theater with ideal soundproofing for viewing movies at any volume) has made our home, along with the many other upgrades we built into the home (smart technology, energy efficiency, high-end finishings, etc), entirely unique to the area. Once again, return on investment didn't matter much to us because we weren't planning on selling our home. However, October 10, 2016, changed our lives forever... as our 3rd baby girl, Anastasia Marie, passed away suddenly from SIDS at almost 4 months old. With this heartbreaking & devastating loss as well as our daily trips to the cemetery, we found ourselves considering selling our home - for the first time - in order to be closer to the cemetery that we visit so frequently. Consequently, we are currently faced with the seemingly impossible task of selling our home for its value despite the comps in our neighborhood being 1/2 to 1/3 of our home value. Instead of surrendering to the less than ideal real estate circumstances, I decided to do whatever I could to give our house it's justice in honor of my baby girl who lived her whole life in this home. In my college education, I learned how to conduct thorough research on just about any topic. I am an artist as well. With these skill sets, the knowledge I continue to acquire from my brilliant husband, and unwavering determination to honor my baby girl's home, I set out to learn everything I could about the real estate market and home selling. I quickly found your podcast and delved into it, listening to every episode at least once and subsequently beginning and completing your 30 day home challenge, as well as conducted fervent research in various real estate milieus. As a side note, here in Augusta Georgia, most homeowners rent their homes during the Masters tournament in the spring. Our home has always shown well and has consistently received comparative offers for rental. We consistently rent our home for the week for $22-25k while, as easily obtained on the listing websites, our neighbors rent theirs for at most $10k. Those that have seen our home chuckled a bit at me for spending so much time and effort in home staging etc because all in all it shows well without any changes. However, I shutter at the thought of selling our home & the possibility of watching it exchange hands over and over. So I knew if we were going to do it justice & achieve my ultimate goal of finding a buyer that will truly love this home & feel proud and lucky to call it their own, then I'd have to present it in a way that was more than just a nice home - every room must be better than the last & not one space leaving someone wanting more. That is where I learned so much from you!! I don't have a clutter issue, as I'm pretty obsessive about organization, but I started by decluttering anyway after hearing what you had to say about the topic. I.e. A practical office vs staged office, practical pantry vs staged pantry, practical laundry room vs staged laundry room etc. I got 2 storage units & filled them up with anythjng that wasn't absolutely necessary. I redecorated with all your suggestions in mind, even removing some artwork from specific walls in order for the buyer to envision their own artwork there or for necessary negative space. My favorite project was our lower deck: I never got around to coming up with the perfect solution our the deck - it overlooks our beautiful view but the deck has a concrete slab and even though I tried various ways to make it feel more inviting, like rugs, etc, none of those options worked. Knowing that the space was one of the bigger selling features of the house due to our view, I had to come up with a solution and finally found one. I stencil painted the concrete floor & added some drapes to frame out the columns. Though this project took weeks complete, it was the best decision we made in terms of staging! I only had to purchase a stencil, primer, 2 gallons of paint and a burlap for the drapes. The tedious work made it a challenge but the end result was worth every minute of it! What a transformation! We just took professional photos of our home & are working on a real estate video. We will put these on a private website that will also include details about our many upgrades that aren't apparent at first glance (such as spray foam insulation, or 3 separate HVAC units for all 3 levels with NEST thermostats to help with energy efficiency, tankless water heater, advanced water filtration system, and so on). We plan to attempt a private/pocket listing strategy with a broker open house as opposed to public listing and public open house for various reasons. We hope we can sell the home quickly and will keep you posted on the results. Please wish us luck!